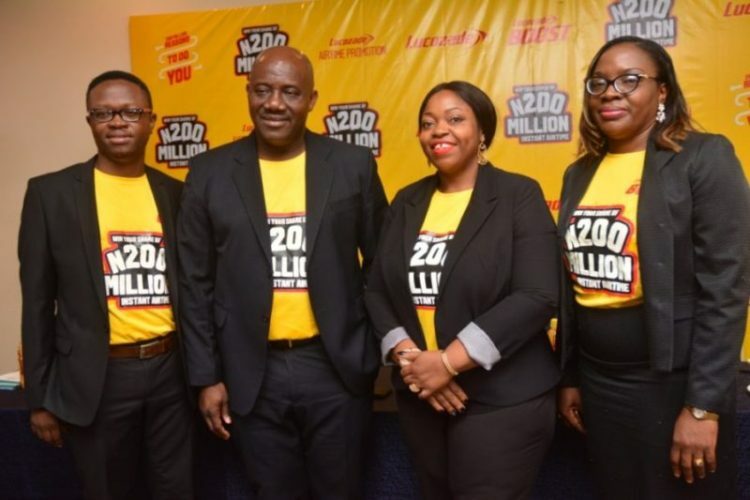 L-R: Senior Legal Counsel/Company Secretary, Olaleye Dada; Managing Director, Chinedum Okereke; Marketing Director, Rosemary Akpo and Head of Lucozade Brands & Innovation; Chika Adibo all of Suntory Beverage and Food Nigeria Limited at the launch of the 2018 Lucozade Airtime Promotion in Lagos. Explaining the objective of the promotion, the Head of Lucozade Brands and Innovation, Mrs Chika Adibo said, “The Lucozade Airtime promo is our way of rewarding our esteemed consumers for their loyalty and patronage over the years, and also restate our commitment to helping people feel energized and be the best version of themselves all day. We also encourage new consumers to come on board via this platform”.